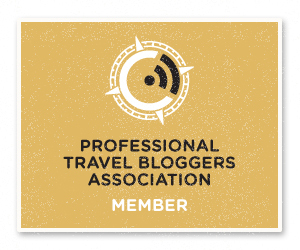 So you want to start a blog? Great! You’re not alone – tens of thousands of blogs are started each year, making it crucial that your blog stands out in the crowd. Branding is a huge part of distinguishing yourself from your others, attracting (and maintaining) loyal readers and important when you want to take your blog to next level. Check out our branding checklist for 10 essential tips on developing your personal brand online. #1. Know your mission and define yourself. A well-written mission statement is proof you have thoroughly thought about what you want to communicate when you blog done and defined your purpose or beliefs into two or three sentences. A reader who doesn’t know you should be able to read the mission statement and know exactly what to expect from you. Have a focused niche. This will help you in the future when brands come to you wanting to work with you. It will help you determine which ones fit your mission and your personal brand. That’s only possible if you know exactly what to expect from yourself. Make sure that this is effectively communicated in your “About” page, too. #3. Recognize how you are different. People are attracted to uniqueness. By embracing your differences, you are more appealing to others. Use these differences to get people to pay attention to you. Create a list of all the things that might make you unique. Also list your passions. Prioritize this list with things that separate you from others or things you care about more than anything in the world. Incorporate these into your content and your mission statement. #4. Take some eye-catching images of yourself. You are going to use a photo of yourself in various places on your blog, Twitter, Facebook, etc. You want that photo to be professional and attractive. You also want it to convey the mood expressed by your brand. If your brand is about fun, then look happy and fun in your photo. You can pay somebody to take very professional photos of you. It isn’t necessary, but you’ll get better results. #5. Purchase your domain name. You need to own the dot.com. If your name is available as a dot.com, buy it. It is easiest to remember. 😉 Nothing is worse when it comes to personal brand online than a domain name that is long and includes someone else’s brand attached to it. YouBlogName.WordPress.com is an example of what NOT to do. With self-hosted WordPress, you can buy your own domain and then connect it to your blog for free. #6. Invest in a professional blog design. One of the biggest mistakes I have seen bloggers do is trying to design their own blogs when they have no idea what they are doing. Treat your blog like a business if you want it to be a business, and that means investing in it at the beginning. You need a professional logo for your brand. Don’t use your photo as the logo. I have been fortunate to have friends are creative in graphic design. Don’t be afraid to ask around. Also, make sure the logo would work equally in color and black-and-white. In other words, it should translate well into print. #8. Develop social media profile. Do all your social media profiles look consistent? Keeping a consistent profile helps others find you easily, and it helps cement a picture of you in the minds of others. Reserve your name on all social channels. Readers respond very well to personal stories on blogs. Using relevant stories can help build credibility in your niche. Authenticity builds trust in readers. Don’t worry about how often that you are going to blog rather on the quality of your writing. I laugh when I look back on my early writings. I must have thought I was a scholar, but I have learned that when I share my heart, the readers connect with me. They comment. They share. Which in turn inspires me to continue to write more quality content. #10. Monitor mentions of your name and reply quickly! There are great monitoring tool like Mention, which tracks any time your name surfaces online, be it in a blog, a social media post, status update or otherwise. You can view the mention right from your Mention dashboard and engage with a reply. A good rule of thumb might be: Respond to mentions on social media and blog comments within 24 hours. Hopefully these tips for building a personal brand strategy can help you in thinking about how you present yourself online. 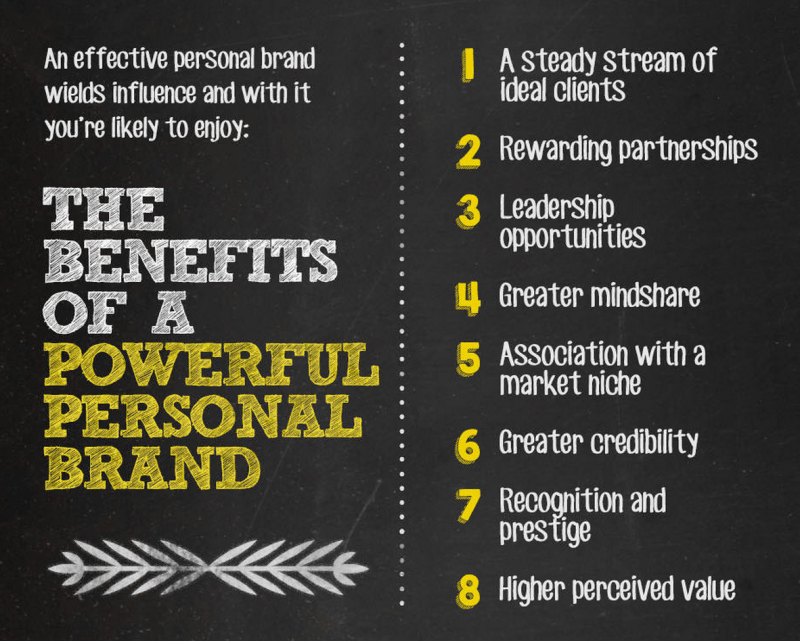 This infographic by Feldman Creative and Placester does a good job of showing the benefits of keeping your personal brand well-maintained. 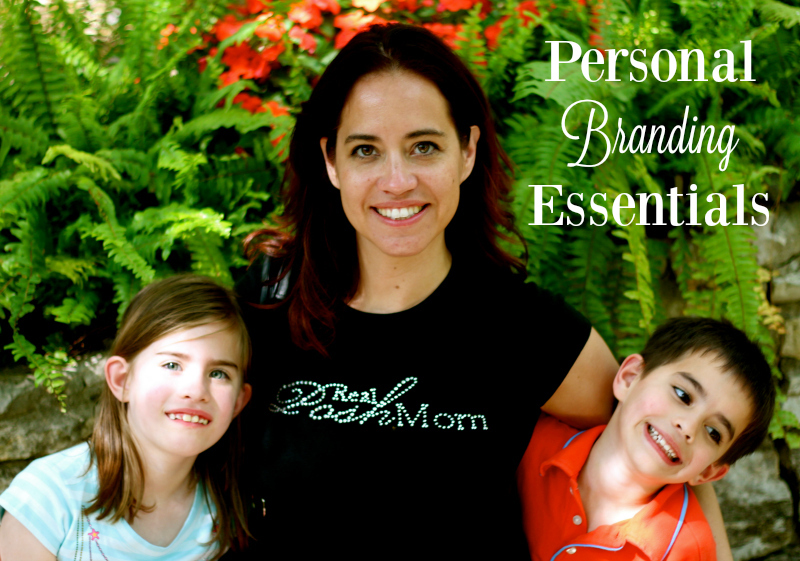 What tips have you picked up for managing a personal brand? Which of these tips might work for you? I’d love to learn from you in the comments!